The upcoming RTS game from the world of Halo is having another multiplayer beta to refine the game before launch; running for ten days, the beta will feature the new card-based game mode – Blitz for everyone to test out. Halo Wars 2 is the sequel to the previously Xbox 360 exclusive RTS, Halo Wars from 2009. Microsoft later released Halo Wars: Definitive Edition for Xbox One and Windows 10 last month to prepare for the release of Halo Wars 2 for both platforms. Aiming for a February release, the game has the big shoes of its predecessor to fill, as Halo Wars was one of the few RTS games to work well in a console environment without control issues. While the first game takes place before the events of Halo Combat Evolved, with us battling against alien Covenant forces. Halo Wars 2 starts right after the events of Halo 5: Guardians campaign, with a brand new faction to fight. Calling themselves The Banished, they are a group that split away from the covenant before its end in Halo 3. The campaign will span thirteen missions and is fully playable in cooperation with another player. 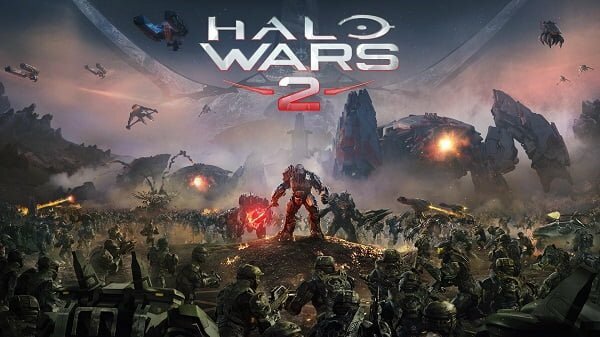 343 Industries and Creative Assembly – the makers of Total War RTS games – are heading the development of Halo Wars 2. Although not having the grand scale of the Total War games, Creative Assembly’s experience in the RTS field is sure to weigh into Halo Wars 2. Game modes with cards incorporated into them seem to be popping up in almost every game these days. Halo Wars 2’s version, however, combines the deck building aspects of card games like Hearthstone, with its own RTS gameplay; unlike other mostly chance based card games, this ensures that even a player with a bad hand can win a match by using their units better than the opponent. The Halo Wars 2 Blitz open beta starts on January 20th and runs for ten days until the January 30th. Available for both Windows 10 and Xbox One players, the beta takes place on the new map – Proving Grounds. While any progress players make in the beta won’t carry over to the main game, anyone participating in the beta will get two Blitz card packs for using in the full game at release. Halo Wars 2 comes out on the Xbox One and Windows 10 platforms on February 21st for $59.99. Also, as an Xbox Play Anywhere title, buying the game on either platform gives customers access to both systems’ versions for free.